As a mother of two, I have such gratitude for the compassion and sensitivity the nursing staff at both of my deliveries provided me. Childbirth is such an exciting and emotional experience, but also a big unknown for first-timers. My first child was a bit stubborn to come and I remember feeling very frustrated and eager for my labor to begin. After being induced and waiting for what seemed like forever, I finally started to labor and delivered my beautiful daughter. I spent about 24 hours in the labor and delivery room and had about four different nurses attending to me throughout that time. Each one was incredibly supportive and present for me; theypatiently answered my questions and offered encouraging words. After my delivery I needed to go to the surgical suite for minor surgery. I was disappointed, scared and wanted nothing more than to spend that time with my newborn daughter instead. I began to cry as I realized I needed to go into surgery and I remember my nurse looking me in the eyes and holding my hand and telling me that I was going to be okay and that she would be right there with me. And she was. She held my hand the entire time. The doctors and midwives came and went quickly throughout my labor, delivery and surgery, but my nurses were always there to provide that connection of comfort and support. Two years ago my grandmother needed to be placed in a nursing home and, eventually, she passed away. Even though it is the natural progression of age (she lived to be 94!) it is still difficult to watch a loved one ail and pass on. After entering the nursing home she began to develop dementia and I recall one visit to her that was particularly challenging. After about five minutes of our visit she became agitated, anxious and confused and kept asking me to take her "home." I had never seen this happen with her before and it was heartbreaking. Although I knew her well and loved her so much I possessed no skills to help aleviate her confusion or anxiety. I felt so helpless. I remember her excellent nurses coming in and immediately knowing how to soothe and calm her. Within minutes she was laughing again and relaxed. I was so impressed at how her nurses were able to comfort her when I, who had known and loved my grandmother my whole life, was utterly unable to do so. The nurses also took the time to talk me through my grandmother's illness so that I was better prepared to help her if she should become agitated again. Nurses are my heroes. You are the ones that provide the majority of intimate care and patient support during some of life's most challenging milestones. You are the hand-holders, the comforters, the true care-givers. You are the ones that we remember. I am so proud to be able to provide a legal voice to nurses because I admire the work that you do and am so thankful for the support you provide to me and my family. 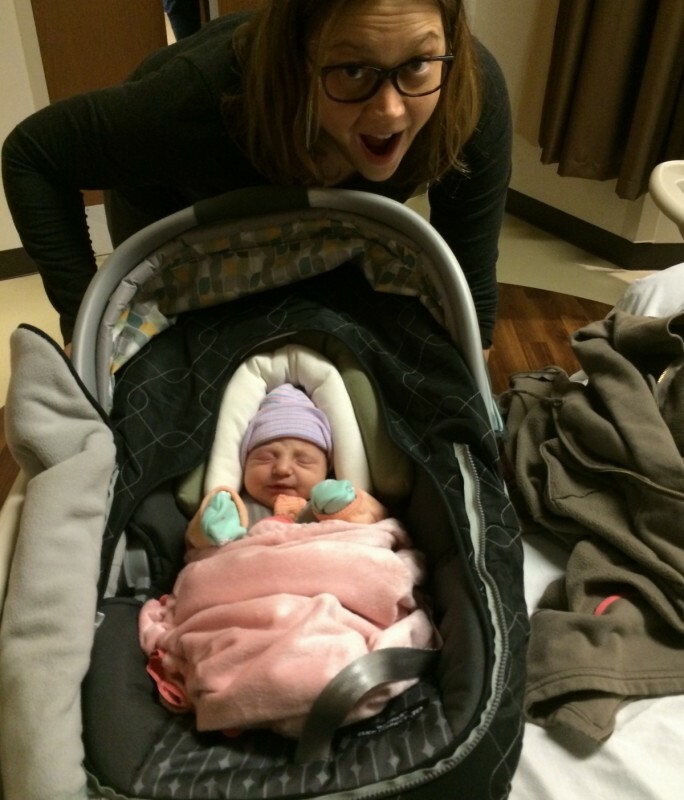 Photo: Melissa getting her daughter ready to take her home from the hospital for the first time.